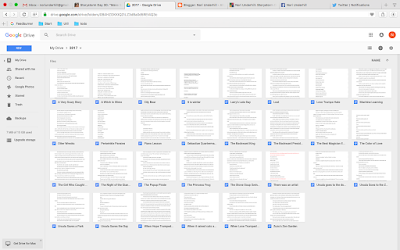 There they are, another 30 rough first drafts (some of them partial) to add to the 30 from PiBoIdMo 2015. I'd like, as I did last year, to thank Tara Lazar and her guest bloggers for helping make this possible. Without their daily prompts, there's no way I could have done this. 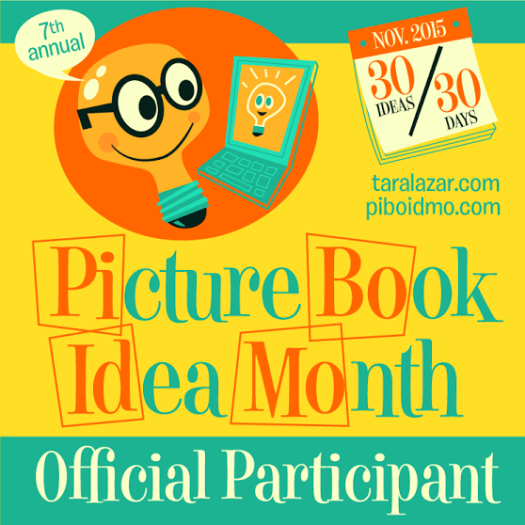 I'm thankful this year, as I was last year, for Tara Lazar and her guest bloggers. I could not have done this without their daily prompts. This year, however, there were fewer blog posts that took the form of writing prompts. Sometimes, they were more general in scope, and on those days, I needed the help of two other mechanisms: First, the fact that one of my stories (Ursula the City Bear) turned very easily into a picture book series, and second, a second grader friend of mine that I play with from time to time. She's super imaginative, and from our play alone, I got two ideas for stories earlier this month, as well as today's final Storystorm installment. 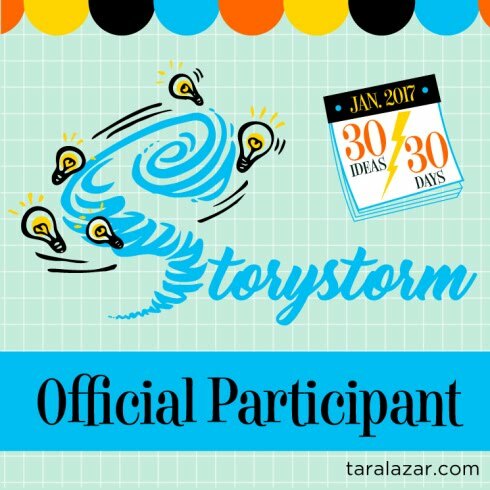 Today's Storystorm blog post by Audrey Vernick and Liz Garton Scanlon made me want to try some collaborative brainstorming to come up with a story to write for the day, but unfortunately, as a mere nom de plume (if you didn't already know that about me, I hope it doesn't come as too big a shock to you!) I can't dance, teeter totter, or brainstorm (in person, anyway) with anybody else. 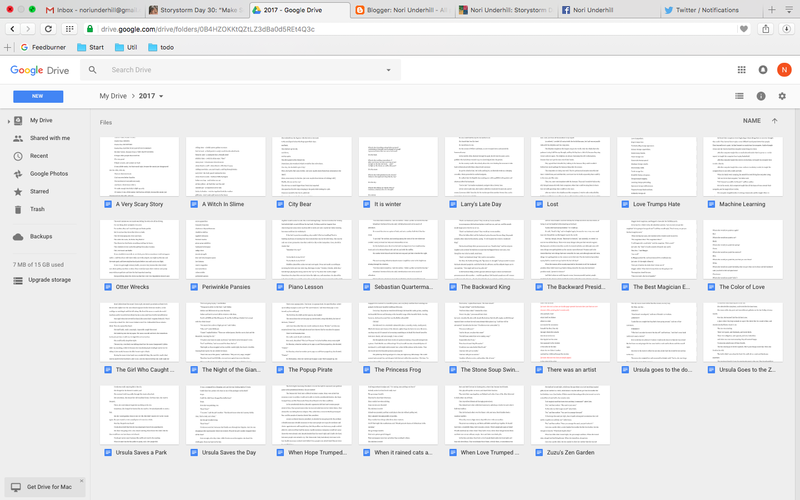 So, I decided to brainstorm with myself! Yup, I'm going political again! I don't know how publishable these political picture books will be, but writing them is doing me a lot of good. Today's story evokes George Orwell's 1984 by imagining (without too much effort) a "backward president" who says things like, "Ignorance is knowledge," or "Protest is violence," or "Voting is cheating." At the prompting of today's Storystorm blogger Rebecca Hirsch, I thought about what non-fiction topics I had any expertise in, and chose a topic I don't necessarily know that well, but have been thinking a lot about lately: climate change. And I'm back on the Ursula train! In this new installment of the City Bear series, Ursula is recognized as a bear...by a very young child. Does this mean her cover is blown? Will she have to go back to living in the woods? Stay tuned, same bear time, same bear channel. Storystorm Day #14: Ursula Forever?